Push notes are one of the best ways to reach out to your audience. Any small business and organisation can benefit from them as they allow instant updates and consistent contact. I definitely recommend getting a little creative when trying to tailor a feature like push notes for your app, it’ll add a little personality to your messages and your app customers will appreciate you for it. One of the best ways to use push notes is to let your customers know about special events, deals and offers; keep in mind that timing is everything. School apps use push notifications to remind parents and students of school events or alert them of emergencies. I’ve even seen a popular bakery send one out when their new batch of doughnuts was ready. Ideal for community organisations informing residents of special alerts and local events. Scheduled push notes make this even easier by allowing you to set up future push notes to go out at a designated date and time. You have the ability to time your messages but you can also designate a specific area! Our geofenced push notes give businesses another way to actively interact with their clients without leaving their desktop or even their phone. However, another alternative broadcasting system is called iBeacon, which uses Bluetooth low energy proximity sensing to send messages at closer distances, useful for information orientated marketing when organisations want to deliver messages based on specific locations (usually indoors), but it does track users and has raised privacy concerns in the UK. Whereas, geofencing is more street level based and allows the user to remain anonymous. This is a great way to gently remind clients to come visit when they’re nearby. Use it or lose it! Like any great feature, you can’t let a feature like this go to waste. Push notes are only as good as you make them but they are a fantastic tool used by every app developer in the industry. 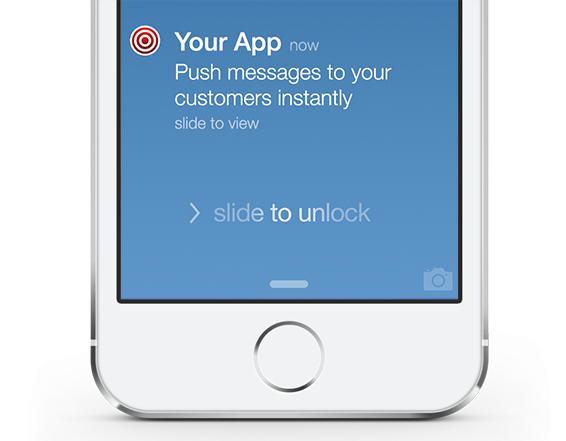 If you ever have any questions about push notes, ibeacons or different ways to use them, reach out to us! Review our other articles on push notifications.